Before we look at the subject of “Internet Privacy”, we must thoroughly understand the online terrain and the importance of protecting ourselves online. Keeping up to date with the internet advancements and innovations is an on-going pursuit as the online landscape is swiftly evolving. Who is accessing the internet is changing, how we are accessing the internet is changing and the role that it plays in our lives is increasing rapidly. In 1995 just 1% of the world had access to the internet. Now there are more than 4 billion internet users worldwide, and this figure is skyrocketing. Internet privacy is a subset of data privacy. People have the right to decide how they show their own personal data online. Therefore, when offering personal information to third parties we must be aware of their data privacy policies, to see how they are going to use our data. Always make sure that you don’t disclose your personal data online if you are not 100% certain that your data will be treated with confidentiality. Even if we are 100% sure that the retailer is legit, massive companies like British Airways, Ticketmaster, Kitronik and VisionDirect still fall victim to serious cybercrime. People are becoming highly dependent on the internet. The widespread consolidation of the internet will see big players with more sway in deploying internet security in the near future. 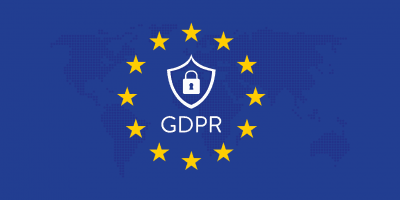 Certain authoritative legislation is being deployed to enhance internet security such as GDPR. The internet is becoming increasingly more encrypted, which offers enhanced privacy and security while using the internet. Secure Socket Layer (SSL) certificates began back in 1995. Initially, they were only used for websites that processed credit card information. However, now people are becoming increasingly aware of the importance of keeping their data secure. Thus, SSL certificates are becoming important for customer confidentiality and trust. Last year there was a controversial security act that was passed by the Bangladesh government. The act states that people who secretly record government officials or create false propaganda about the government online can be imprisoned for up to 14 years. Proving just how serious Governments are getting about internet privacy and the sharing of data. Internet Giants are providing enhanced security for developers who want to implement a login on ta website. Now developers can implement a Facebook or Google Login that will enhance the security because they will be using code that has been developed by security experts in-house at Google and Facebook. 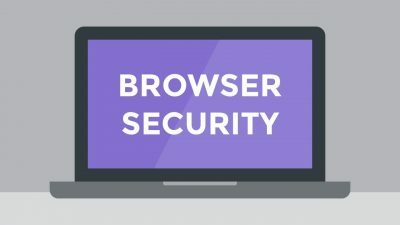 This can greatly enhance our security when accessing new websites. New account fraud is one of the most rapidly increasing forms of identity fraud. Hackers like to gain access to our data to perform all sorts of criminal activities, such as passport fraud and banking fraud. In 2017 we saw an increase in Identity Fraud. What is disturbing is that more than half of identity theft is not identified – or labeled “miscellaneous identity theft”. Often people don’t think about the ramifications of posting sensitive data on social media sites like Facebook. With more than half (57%) of all social sharing happening on Facebook, we feel that this is a good place to be vigilant when it comes to online privacy. Due to the increasing incidences of cybercrime being highlighted in the news, US citizens are becoming aware of the dangers of sharing data online. This means that digital security companies like VPNs and Anti-Virus software are in popular demand. In January this year, we saw yet another FB hoax going Viral. In fact, the same viral post about Facebook making all private posts public has gone around for years. Unsuspecting users responded by posting an ineffective legal notice. If you’re on Facebook I’m sure you will have come across one of these posts over the past few years. One good thing is that, due to pranks like these, people are becoming more aware of how their content can be shared online. Facebook has enhanced data on members that are used by marketers to sell products directly to the best audience. So it’s no wonder people are sensitive to the fact that businesses are profiting from their data. The fact that a third of Americans value their online lives as priceless, it’s becoming increasingly important to secure their online space. Thankfully we now have access to a wealth of online security tools that don’t cost the earth. It’s important for people to pre-emptively secure their online data before breaches happen. 73% of Americans want additional security to protect their accounts. 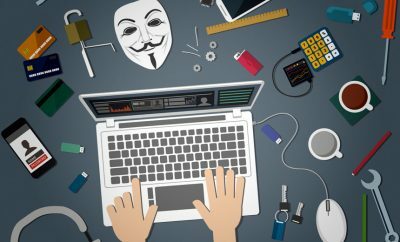 Cybercrime has become increasingly sophisticated, with Formjacking on the rise – meaning users are duped into thinking that they are voluntarily sending their personal data to a trusted site. When the truth is that the form has been hijacked and the data is actually being submitted to a cybercriminal. Formjacking is often used to steal credit card information. Many high profile formjacking events have hit the news, not least the 380,000 British Airways customers who were hit with a cyber attack in September last year. The months of May and November are Popular Formjacking Months. Malicious Microsoft Office attachments are on the increase. In fact up by 43% when compared to the 2017 statistics. Although a great number of newsletters and useful emails end up in spam these days. There are a lot of malicious emails that are marked as spam. Symantec telemetry has reported that Microsoft Office users are most likely to fall prey to email-based malware. Powershell scripts were originally designed for computer programmers to automate system administration. However, the 2019 Internet Security Threat Report has stated that the command line scripting language is being used by hackers. The trend has changed from mobile malware to mobile ransomware. Mobile phones can easily get infected by ransomware resulting in hackers blocking access to the device until a sum of money is sent. Mobile Ransomeware Infections increased 33% from 2017 figures. Although malicious mobile apps can penetrate any industry, Symantec found that they clustered in particular sectors. Ransomware is up a third when compared to the 2017 figures. #18 | Symantec blocks approx 10,573 malicious mobile apps a day. The UK, Norway, Netherlands and Austria represent under 1% of the ransomware found on devices worldwide. Formjacking was one of the biggest security threats of 2019. Presenting a massive leak in internet privacy, due to the fact that hackers can get access to any of your data by inserting a malicious form. However, the trend towards a particular time of the year is key. The last quarter saw the majority of the formjacking attacks, whereas just 551,117 attacks were performed in the third quarter. The reason that hackers perform their attacks is for gathering intelligence on individuals or organizations. Internet of things (IOT) devices are not immune to hackers. 2017 saw a massive influx of hackers attacking IOT devices, only to reduce in 2018. The main way that hackers get access to IOT devices to manipulate them is via a router or connected cameras. By knowing about the variety of ways that hacker groups access our data while surfing the web, we can take measures to secure our activity. For example, be more vigilant about Microsoft Office attachments that we open and make sure that when filling out a form that we are not taken off to a hijacked form. There are also a lot of other ways that hacking groups use our data, for example, to create fake ID, drivers licenses and passports or redirect funds from a bank account. Protecting ourselves online has never been more important.